Swagbucks is one of my all-time favorite ways to stretch my budget. But did you know that you can also use Swagbucks to help others? 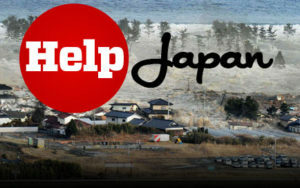 You can donate some of your Swagbucks earnings to help with the earthquake/tsnuami relief for Japan. Thanks to Swagbucks members, more than $20,000 has been raised for the cause. Swagbucks will be collecting donations through Monday, May 2 at 12 p.m. PDT. It’s easy to donate and doesn’t cost you more than a few clicks. Swagbucks is a website that allows you to earn free stuff by doing the things you do online every day – searching the web, shopping online, and by engaging in other activities such as playing games, taking surveys, watching videos, and completing special offers. Swagbucks is fun and easy to use especially when you know how to maximize your Swagbucks earnings. And right now when you sign up for Swagbucks before Monday, May 2, you can enter the code HelpJapan and get an extra 50 Swagbucks added to your account. Disclosure: When you sign-up for Swagbucks through the links on my blog, I win Swagbucks every time you win. Thanks for supporting Northern Cheapskate!